More than two years ago, I wrote a post in which I considered whether having two kids is more like having one point seven kids, or three thousand kids. Now, with very scientific data to back me up (read: my own personal and extremely subjective life experience), I know without a doubt that it’s more like having 7 kids, a dog and a muppet all living in your house. Though it’s actually, verifiably the funnest thing in the world having two little monster people wrestling each other and playing “slide” on our couch cushions until someone gets a concussion (like I said, super fun), it’s also ridiculously busy, which is why I’ve written approximately three blog posts since then. I love my kids a shocking amount, but I’d be fibbing if I didn’t admit I look forward to the day they are middle schoolers. After all, that’s supposed to be the sweet spot of parenting, right — when your 8-year-old will still hug you but is old enough to reliably pour his own cereal? When he’s too old to need help with his shoes, but not mature enough to throw all of your failures in your face? Take rides to (pre)-school, for example. As I navigate the San Francisco streets while the kids poke each other with a foam sword we got in a goodie bag that I keep forgetting to move permanently to the recycle bin, my only sane option is to blast the Hamilton soundtrack to drown out their yelps (they are, luckily, too young to realize that I am not James Corden or one of his guest stars). Needless to say, I dream about the day I’ll get to drive around kids who are too young for the passenger seat but who don’t require pull-ups. 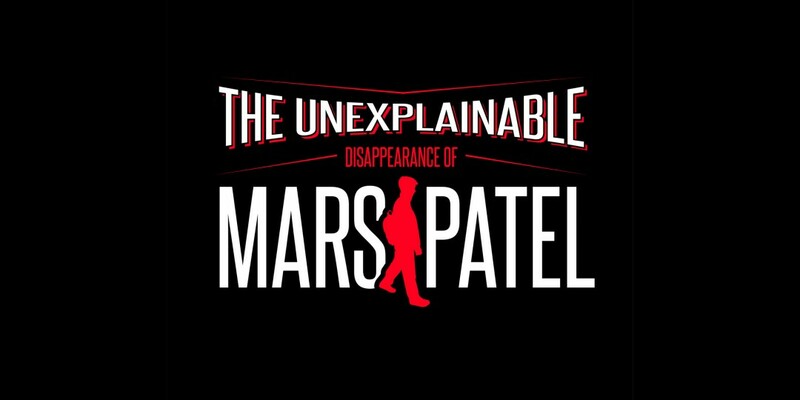 I imagine this fantastic new scripted podcast for middle school-aged kids (8 – 12) that just released its first three episodes on iTunes — The Unexplainable Disappearance of Mars Patel — would be prime listening material. Mars Patel gives me all the feels for a couple of reasons. First, it’s Goonies meets Spy Kids meets Stranger Things all wrapped up in a high-quality, serial mystery that’s addictive for kids (in the best way), intriguing for adults (really), and suspenseful, witty and unique. Second: the main characters are mostly kids, played by uber talented middle school voice actors who all have serious chops. Third: there’s no other podcast like it out there (I know this empirically, like everything else I opine on this blog, because I have listened to all the podcasts. All.) The story centers around a group of misfit, gifted middle schoolers — Mars and his buddies JP, Toothpick and Caddie — who witness the disappearance of two of their friends from school and embark on a journey to find them. It’s not long before they suspect their friends’ inexplicable absence might have more than a little to do with tech billionaire Oliver Pruitt (the Elon Musk-like “sponsor” of the podcast and founder of Pruitt Prep, “the most advanced school on earth.” No, it’s not real, but you know you want it to be). 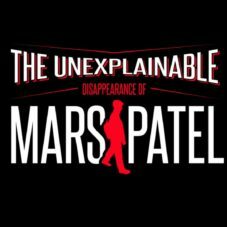 The first three episodes of Mars Patel are fun, fast-paced, and clever, and it took me zero time to get up to speed on the characters — their lives, backgrounds, quirks, crushes and foibles — and get hooked on the story. That’s saying a lot about a twenty-five-minute-or-less podcast where everything has to be established through the actors’ voices and the sound effects. The creators do that effortlessly and skillfully, which means a lot of 10-year-olds are going to be binge listening to Mars in the near future (but you won’t mind; you will be, too). Mars and his friends feel like real kids — kids you’d want to be friends with, or kids your kids might already be friends with — and they’re so relatable and flawed and funny, it’s a breeze to jump on their bandwagon. And then there’s the central question of the show: Where HAVE their friends disappeared to? And when is Mars himself going there (since we know he is)? And is he going to take us along? I HOPE SO. Parents of kids who have attention spans longer than a squirrel, you’re in for a treat with Mars Patel. And parents in general — if you loved Serial the Podcast, Mars is Serial without all the parts that would make it completely inappropriate for a young audience (i.e., all of it). I have a feeling Mars will fill a podcast-sized whole in your life you didn’t even know existed.